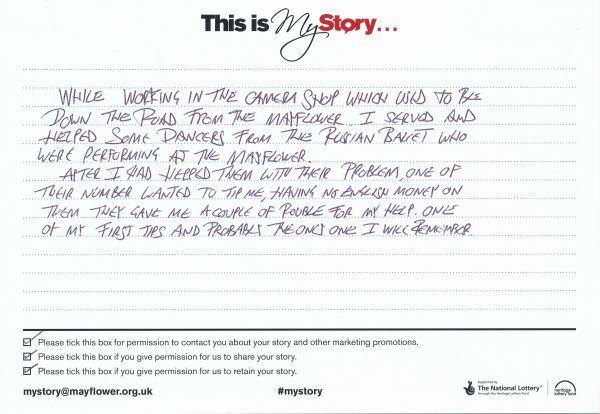 My Story card: Marc Comley remembers being tipped by the Russian Ballet dancers. While working in the camera shop which used to be down the road from the Mayflower I served and helped some dancers from the Russian Ballet who were performing at the Mayflower. After I had helped them with their problem, one of their number wanted to tip me, having no English money on them they gave me a couple of rouble for my help. One of my first tips and probably the only one I will remember.